In the past, people enjoyed playing music in computer. After improvement in sound quality of cell phones, users have started listening to high quality music via Apple iPhone or any other portable device. Listening to songs in cell phone has its own drawbacks. First of all, limitation on supply of songs and an extra task of syncing songs every time you get bored with old one. What if you could stream songs directly from your PC to Apple iPhone rather than saving it? This will not only help you get rid of boring task of syncing each and every song but will also save storage space. WiFi2HiFi is an application that will turn your Apple iPhone to wireless audio receiver. With this app you can listen to any song that is being played in music player of PC or Mac, without any additional hardware. There is no need to waste time syncing songs from PC to Apple iPhone. 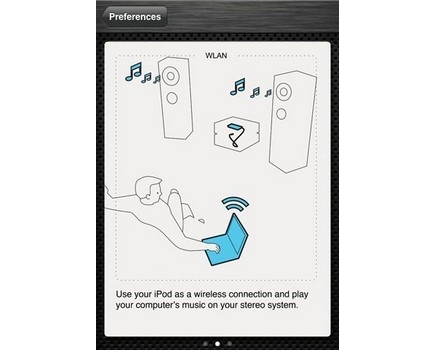 The app uses Wi-Fi in your PC and streams music from computer to Apple iPhone, iPad or to stereo system. WiFi2HiFi Station which is a desktop app will provide streaming ability to every audio program on Mac or PC. Supports MAC OS X 10.6, Windows Vista, or Windows 7.